Some of the worlds hottest fashion designers from from Italy Donatella Versace, Emilio Pucci, Roberto Cavalli and Prada just to name a few. So it’s no wonder that Milan fashion week has some of the hottest street style out of all the cities in the world. Here are some of the best street style looks. Seriously could these girls get any cooler? The Supermodel sisters looked impeccable as they headed to a fashion show in Milan. Gigi wore another super cool outfit as she posed with the king of fashion and Chanel designer Karl. Bella gave her sister a run for her money in this elegant ensemble which looks like it was made for her. The girlfriend of Will Smith’s son Jayden Smith posed in this pretty number before heading into the Dolce show. The super model and daughter of actor Stephen Baldwin was snapped wearing this grunge look as she was going between shows. 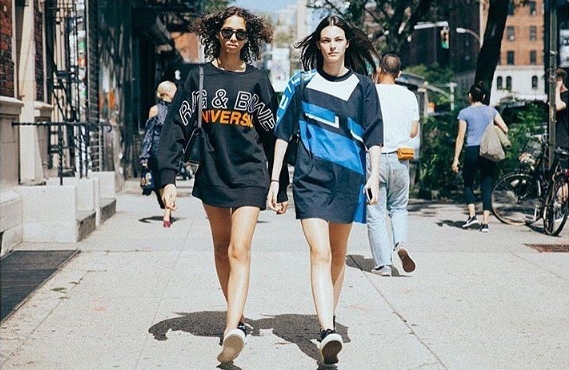 These model friends looked extremely cool and perfectly coordinated as they headed to a show. The Victoria’s secret model gave off punk rocker vibes in this racy maxi dress. The fashion blogger and designer showed us why she has such a huge social media following in these perfectly put together outfits. The fashion blogger and social media star showed off her colourful outfit on her instagram page. The social media star showed off this super hot number as she headed to the next Milan Fashion week show.